Of the few artists that have carried on the stymied country tradition, Cale Tyson is one of the most loyal. Before Country Music splintered off into the synthesized repetition of the word “redneck,” it existed as a charming marriage between Southern Appalachian and Western Folk. Its unique sound formed as a collection of immigrant cultures, a way to honor both European and African heritages through instrumental tradition and universal subject matter. It was a style of music that represented a historical impasse, where cultures collided under the every day existence of a chugging twentieth century. Somehow, as the American Dream became distorted by choice and trial, country music (d)evolved into a commercial phenomenon, with little commonality to the songs that sang its first few generations. People in the south often seem shocked that I, a girl from New York, can sing every lyric of Folsom Prison Blues without the help of a karaoke machine, or that Merle is on rotation in my outdated stereo. But I have a strong devotion to country music- the kind that speaks the truths of outlaw days and whiskey nights. 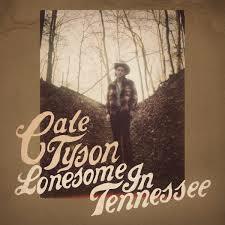 Of the few artists that have carried on this stymied tradition, Cale Tyson is one of the most loyal. His artistry remains true to the shadows of the outlaw; he parallels tradition through both sound and subject matter. High On Lonesome is, besides a seven-track collection of grassroots poetry, an ode to the longevity of the outlaw country greats. I have sung the praise of Cale Tyson a number of times on this blog, and in part that is due to the credibility he garners in producing tear-jerking tracks that comfort addictions to sorrowful lust and reckless imbibing. He somehow finds a way to embrace the more authentic aspects of being young and naive, peer at them through the retrospective glance of the experienced, and combine this intuitive knowing and emotional turmoil into soulful storytelling. Though his Fort Worth Texan upbringing and denim on denim attire rival my own New York drab, I find myself relating to Tyson’s music on a very sincere and human level; he mirrors the universal intellect’s occasional out-lash and ensuing calm. The album opens with “Honky Tonk Moan,” which plays out true to its name; the song is easily imagined during a set at the historic Ryman Auditorium, with static acoustics washing between the pedal steel guitar and the wailing in Tyson’s voice. It’s old time blues, a young songwriter’s yearning, with little pretense to be anything else. “Flame Burning Low” carries Tyson’s heartache through a waltzing repetition, with soft guitar solos mimicking his succumbed sadness. Simple metaphors distinguish Tyson from loftier songwriters; lines like “are you putting up curtains on your window of love/does loneliness cover my hand like a glove?” tiptoe back into a basic sentiment: “Do you love me/Or is the flame burning low?” All writers eventually learn that less is more. It is the space between the words that matter most, and Tyson seems to have picked up this cue naturally in his exhibition of heartbreak. Often, artists disregard simple storytelling, clouding universal emotions within complex metaphor. Sometimes that works. But Tyson just tells it as it is. During the construction of this album, he was at one point feeling lonesome in Tennessee (Track 3), a sentiment entrenched in the bitter narcissism that comes with a relationship entered for all the wrong reasons. One day, he woke up not missing the woman this album lauds and disposes (Track 4), and he decided to write a song about it. The framework contains seven variations of loneliness, coinciding with the seven stages of grief; it’s a chance to peer inside the journal of someone who elucidates romantic discontent, through uncensored discontent and raw, throw-back melodies. “Long Gone Girl” is the pinnacle of “High On Lonesome;” it is the point of acceptance, where Tyson’s lyrics exude the wisdom of a transient affair. The four-minute production contains dustbowl imagery of a helpless outlaw and a modern-day temptress. It feels as though Tyson is processing his own emotions by setting them to the visuals of a different era, much the way a director would project themes through an older setting of years gone by. The album is easily digestible; Tyson’s crooning voice atop gritty country melodies make it a bittersweet farewell to a southern summer. You can listen to the album here, and catch the EP Release show tonight, 8/6, at Stone Fox.